Hotel-to-Hotel (or Chambres d'h?es), selfguided independent walking holidays in France. Pays de Roquefort). 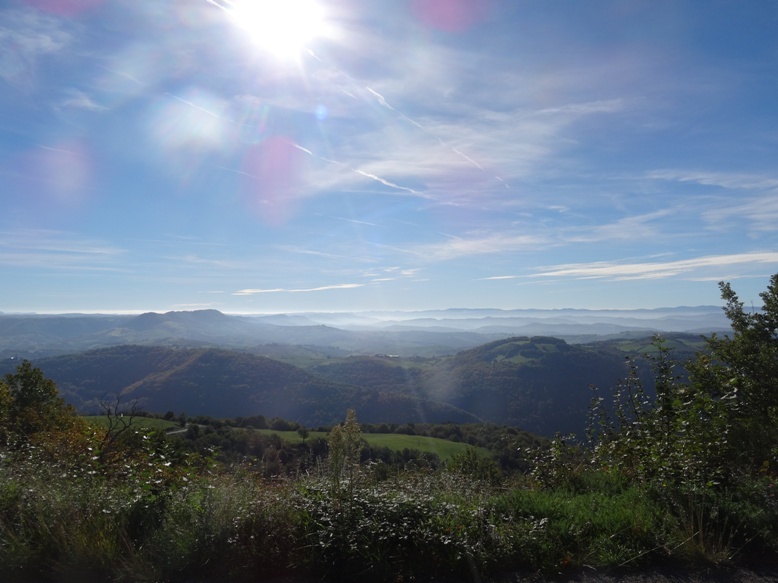 Walks in Provence, Dordogne, Corsica, Aubrac and Cathar country. 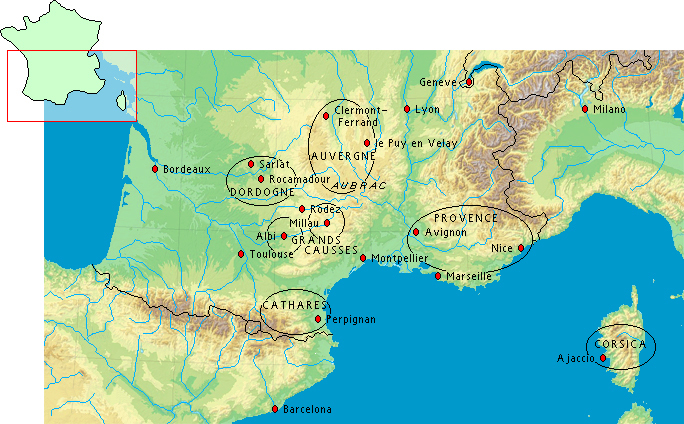 walks in some of the best regions to walk in South of France. Direct selling: La Ligne Verte is a local operator with no subcontracting other local agencies. Family run hotels (no chains!). Accommodation: budget, standard, plus, superior and luxury. Important group discounts for parties and families of 3-8 persons. You walk at your own pace guided by our detailed walking notes. If you want the charms of walking in France and avoid touristy bustle this region will assure you'll get it; it has been designated a natural parc and its riches are protected by the R?ion Midi-Pyr??s. If you want to see characteristic, medieval there are many of these here with the label; "l'un des plus beau vaillages de France". Here you'll find breathing space for taking your time far away from hustle and bustle of modern day living. 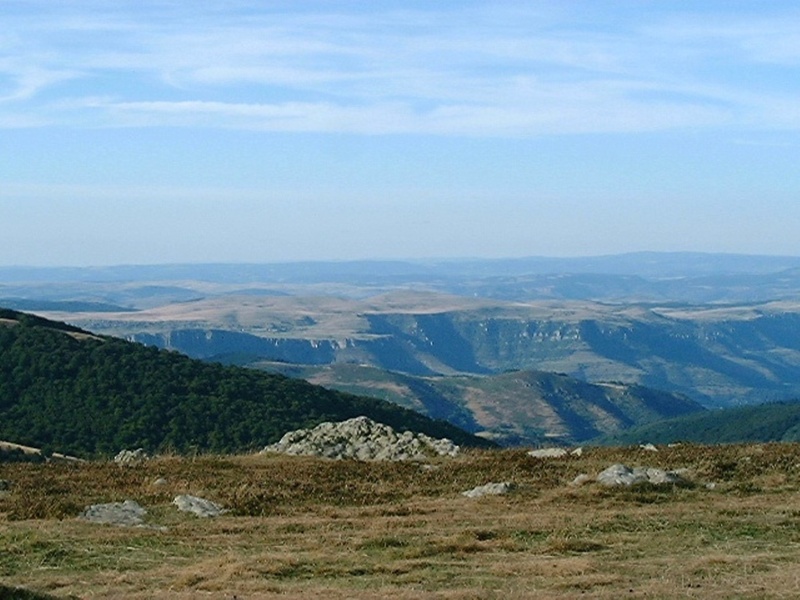 Aveyron and Tarn give you a traditional welcome, amid beautiful scenery, dramatic landscapes and picturesque villages. A land of stone, a land of water: gorges, valleys, lakes, rivers all bathed in sunlight under a radiant blue sky: the land would seem to have been created for out-door pursuits and relaxation. The Accommodations: Tours are offered in 5 accommodation classes: budget, standard, plus,superior and luxury. Shower and WC en suite in all classes. Standard packages are in ** hotel accommodations (often Logis de France and owner runned hotels) with shower and bath en suite. Sometimes in the best of family hotels we have come to know over the years (no chain hotels!). Quality of these owner run hotels in Aveyron is more than can be expressed in the number of stars! Plus packages have one or more nights in *** hotels and guesthouses ("g?es de charme" with pool). Superior packages *** accommodations with one or more ****. 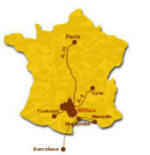 Apart from being a local provider of walking and cycling tours in Grands Causses, Dordogne, Corsica and Provence.